House and Pet Sitting - Is it for me and how do I get started? House & Pet Sitting – Is it for me? House sitting is a vacation and pet care concept that has become extremely popular over the past few years. In some countries like the US, Canada and Australia, it has been long established. More recently it has expanded into other destinations like Europe, Mexico, Central America, Asia and even Africa. House sitting is a recognized alternative to a regular short term vacation and a great accommodation option for longer term travel and lifestyle living. For some, international house sitting has even become a way of life. Individuals, couples like us, and even families, use it as a way to travel, live and work remotely while providing a valuable service to pet owners. Home owners offer free accommodation in return for looking after their home and beloved pets. This exchange is usually built around trust (not money), which is at the heart of the international house sitting community. House sitting also provides a way to live temporarily in a variety of locations around the world and even to “try before you buy” and test out an area before permanently relocating as an expat. But what we love most is the opportunity to really become immersed in the culture of another region or country. The opportunity for slow travel. As a house sitter you will get to live more like a local than a regular tourist. Importantly for most pet lovers, and as a welcome added bonus for all parties, you get to cuddle up with furry friends during your time away! House sitting comes with responsibilities – it should NOT be seen as just an inexpensive way to enjoy a vacation, and it certainly shouldn’t be seen as “free travel”, as is often reported in the media! You can expect costs in the form of airline tickets, getting to and from your house-sit, between house sit expenses, visas, car hire, food and entertainment. Responsibilities may restrict you from leaving the property and pets for long periods, so really consider what tasks you are willing to take on in exchange for your accommodation. When we are sitting, all our focus is on looking after the home and pets, and we see our “travel” adventures as separate experiences. Make sure you think carefully about any commitment that you make and consider it seriously! Why do people use house sitters? A vacant home is more vulnerable to theft or maintenance issues, and insurance companies generally prefer a property to be occupied when the owners are away for an extended period of time. But pets are usually the most important factor when home owners consider using house sitters. There’s a reluctance to disrupt our pets’ routines by boarding them in expensive kennels and catteries. Especially when you can use a sitter to love and care for pets in your own home. This become particularly important as pets age or need medications. Home owners might be leaving for a vacation, for business or for family reasons. As well as pet care they may also need help with gardens, swimming pools, livestock or land management. Do I need special skills to become a house sitter? If you have looked after your own property and pets, then this is pretty much all that house and pet sitting involves. 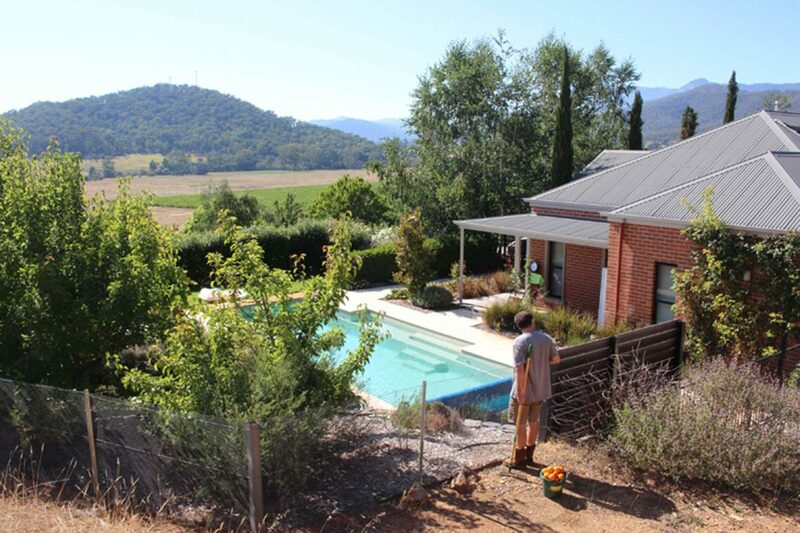 But, if you have a specialist house sitting skill such as living in an “off-grid” property or experience with swimming pools, you may find yourself looking after some unusual properties, possibly in very exotic locations! Before selling up, we used international house sitters to look after our home on this fantastic Panamanian island location. We needed someone with solar, rainwater collection and most importantly, boat handling skills! Owned or rented a property? Looked after yours or other people’s pets? Worked at a pet rescue centre? Enjoyed gardening or land management? Ever been an Airbnb host? The list is endless. All of these are skill sets that will help give you credibility as a new house and pet sitter. Give some thought to what you’ve done in life that might be relevant. Do house sits always have pets? Looking after pets is the number one reason for using house sitters. You’ll generally find that cats, dogs or even exotic animals become your temporary charges. This provides an important service to home owners. For this reason it’s important to review your relevant experience, as well as how comfortable you are with looking after another person’s home and pets. House sitting isn’t for everyone – so try a short local house sit before committing to overseas house sit jobs. It is possible to find house sits without pets and related responsibilities, however the choices are usually fewer. You may need to be a little more patient or be open to trying a wider selection of destinations. Similarly, if you have your own pets, you will find less house sitting assignments. But that said it is possible to house sit with your own pets, particularly dogs, if you start local and offer to meet the owners and see how the animals all socialize together. How much free time will I have as a house sitter? House sitting is often more about living and integrating into a local area, and not so much about traveling or sightseeing for long periods away from your home base. Remember the home and pets are your priority. There’s often plenty to do and experience in your local area, but think carefully about your expectations in this respect. While cats are more independent, dogs cannot always be left alone for long periods, and they may not be well adjusted to traveling in cars. Short day trips away are usually fine, but you should always discuss this with the home owner before accepting an assignment. Of course, local sightseeing is usually not a problem, and if you’re able to take your dogs with you, then longer walks, hikes and explorations can be possible. Be clear about your own expectations and honest about these when considering a house sitting assignment. Otherwise, you could find yourself having a miserable experience. Over the past few years, there has been a growing emergence of collaborative websites, forums and person-to-person communication apps that encourage “sharing”. Services like Couchsurfing and AirBnB have revolutionized travel, as people open up their homes to both paying and non-paying guests. On the whole it seems we love to share and be generous. The house sitting community provides the perfect opportunity to be part of a sharing, trust-based collective. Most house sitters offer their services and time for free in exchange for accommodation, utilities and sometimes even a vehicle. It’s a win-win-win for everyone – homeowner, house sitter and the pets! Often a home owner leaves their home and pets to experience their own travel adventure. Knowing that people with the same life values are looking after their home, possessions and pets is extremely reassuring. Friendships are formed, referral sits are common and all parties get to enjoy opportunities to travel further for longer periods and at a lower cost. You’ll also find yourself meeting up with other house sitters as you travel. We use mapahub – a map based resource that allows you to connect and meet up with sitters all over the world. You can try it free for a month, to see who will be in the same location as you while you travel, not only now, but also in the future. Overseas house sitting is commonly linked to expat communities or countries like the UK, USA, Australia, New Zealand and Europe where it’s been long established. As people venture further afield to explore alternative retirement locations, they also have a need to return home for short to medium term periods to visit friends and family. Worldwide house sits can be found in both the countryside and popular city destinations, such as London, Paris, New York and Sydney. They can span anything from a few days to a few months, sometimes even longer. Some countries are definitely more popular than others, but new locations are popping up all the time. By the end of last year, as long term house sitters, we had house sat in Australia, Fiji, England, Mexico, Nicaragua, Panama, Botswana and Barbados. Last year we spent four months in St Vincent in the Caribbean and a month in Thailand. Can I house sit with kids? We admit, it probably is easier to secure house sitting jobs as a couple, but we have actually been turned down after reaching the shortlist on two occasions. The reason? Because the home owner wanted to offer the opportunity to a house sitting family. How do I get into house sitting? As the house sitting community flourishes, more and more websites are being created with the purpose of matching house sitters with home owners. Some are international and others are regional. But each has their own unique features and services that suit the needs of everyone involved. You may need to pay an annual subscription charge, and it’s often a good idea to sign up to a couple of different sites to widen your choices. However, the investment you’ll make is tiny compared to the savings on accommodation. Hotels, B&Bs or rental properties are often one of the most expensive elements of your vacation. Which is the best house sitting website to join? We have found great success with TrustedHousesitters, HouseCarers and regional site AussieHouseSitters over the past 4 years. Becoming a successful house sitter is a bit like applying for a job. You need to “promote” yourself and your experience to the homeowner. As with any job application, the more effort you apply, the more likely you are to get the position. Where in the world do you want to house sit? Is your passport up-to-date and will you need a special travel visa? Are you considering a location where flight costs negate the saving in accommodation? Which house sitting site is best for your specific needs? Once you’ve selected a house sitting platform you’ll need to creating an impressive house sitting profile – it really is the key to your house sitting success. Of course, reading through the free back issues of House Sitting Magazine, will provide you with a lot of information. And, there’s a lot of information to help you on the house sitting platforms. And if you’re serious about becoming a full-time house sitter you might also consider joining House Sitting Academy. 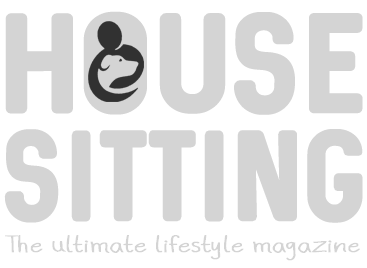 Run by professional long term house sitters, Nat & Jodie, you can learn everything about house sitting and the full-time international house sitting scene. A lifetime membership provides weekly mentoring and training to support you through every step of your international house sitting and travel lifestyle journey. The Academy also includes membership to an exclusive referral club of house sitters. Others who love travel, and who openly share referral sits from their home owners with other Academy Graduates. As members ourselves, we have already secured several referral sits in countries around the world including Nicaragua and Barbados! If you would like more information about how to join this exclusive house “inner circle” of house sitters, send us an email and we’ll talk you through it. We believe it’s well worth the investment to get the best head start in house sitting – especially as house sitting becomes more and more competitive. Now… are you ready to become a house sitter? THIS ARTICLE: Is house sitting right for me? How does house sitting work as far as related costs? Do the homeowners have to pay for the service, or do the sitters have to pay for the opportunity? Hi Janet, To answer your question the concept of international house sitting is based on a trust based exchange. The home owner provides a place for the sitters to stay for free (usually including the utilities, WIFI etc., and sometimes a car), and the house sitters provide their services, caring for the pets and home as if it were theirs, in exchange. The only payment that takes place is the charge for joining a house sitting platform, which can vary from nothing at all for home owners on many sites, to around $100 on the premium sites, it’s almost always a charge for house sitters. This is an annual charge which is easily offset against the cost of using boarding kennels or catteries, and the cost of just a few nights budget hotel accommodation for the sitters. There are paying versions – i.e. some people do charge for local pet sitting at anything up to $50 USD a day, but there are thousands of house sitters around the world that prefer to use this free exchange system too. Something for everyone really! Thanks very much for the information, Vanessa!